Go to any bookstore or your library and you’ll find shelves FULL of early chapter books and series which are geared towards girls. You’ll have to look a lot harder to find books which fill that void between picture books and no pictures at all for boys. 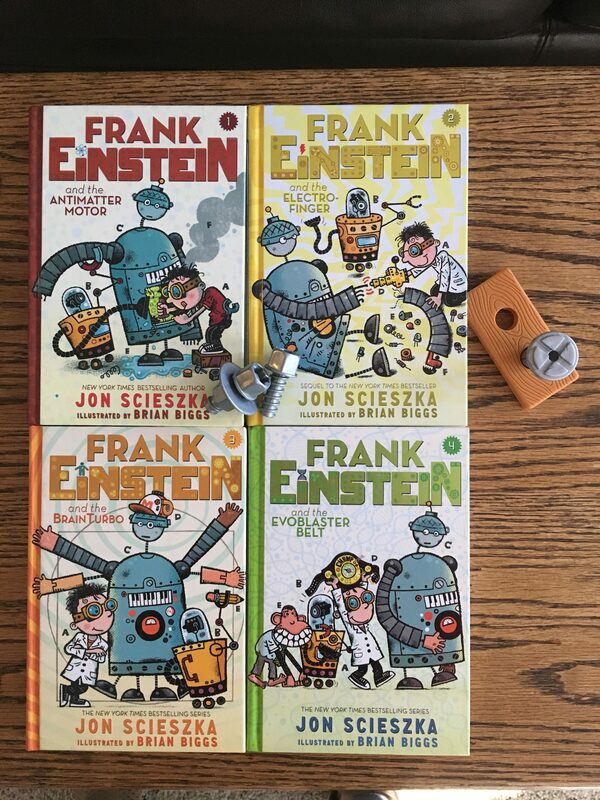 The Frank Einstein series, by Jon Scieszka, happily fits right into this niche and has been providing weeks of entertainment for both my boys, ages 8 & 5. 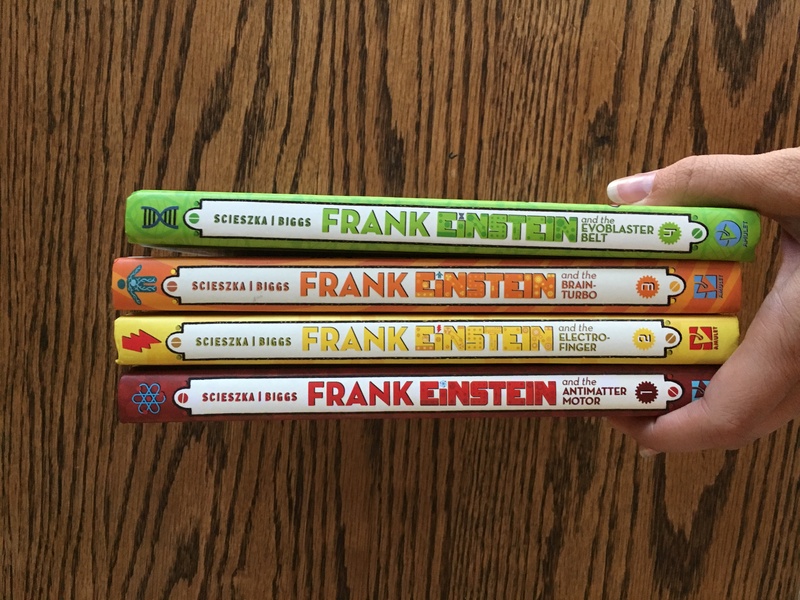 Frank Einstein is a young inventor and scientist who wants to explore all the major areas of science and win the local science prize to save his grandpa’s store. With his two self-built and loyal-to-a-fault robots, Klink and Klank, and his sidekick/assistant, Watson, he endeavors to solve problems both large and small – most notably defeating the nefarious plots of his nemesis, T. Edison, and Mr. Chimp, an actual chimp who communicates with sign language. These books are funny without resorting to bathroom humor or making the adult characters stupid or the enemy. Grandpa Al is eccentric, but a loving and lovable character who has clearly provided a moral compass for Frank. While the plots are somewhat predictable as an adult reader, they are endearing and clever. Each night’s worth of reading sends us off onto side topics of the science mentioned in the story, requiring liberal use of Google, YouTube and Wikipedia to demonstrate a similar experiment, translate binary numbers to reveal a secret message, or fill in the gaps in my own knowledge. These conversations and the imagination it sparks in their tiny minds are worth their weight in gold. All in all, it’s truly hard to beat a book that my children are eager to read, provides laughter and learning opportunities on the same page, and doesn’t annoy with rude humor or too much sarcasm. 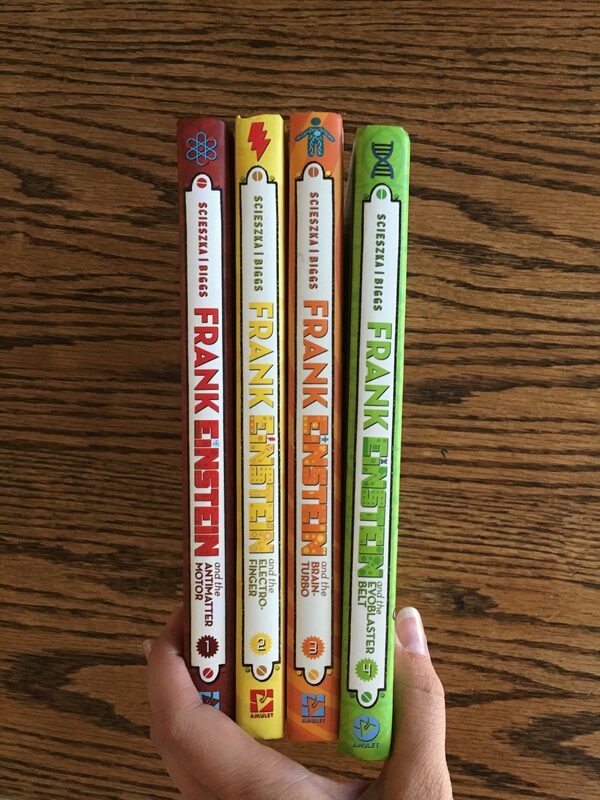 The Frank Einstein Series gets a total of 8 thumbs up from my clan! 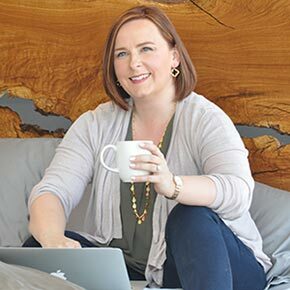 Articles & Reviews// Rebe Reads Jr.